The cryptosystems based on the Integer Factorization Problem (IFP), the Discrete Logarithm Problem (DLP) and the Elliptic Curve Discrete Logarithm Problem (ECDLP) are essentially the only three types of practical public-key cryptosystems in use. The security of these cryptosystems relies on the three infeasible number-theoretic problems; no polynomial-time algorithms exist for these three problems. However, quantum polynomial-time algorithms for IFP, DLP and ECDLP do exist, provided that a practical quantum computer exists. Quantum Attacks on Public-Key Cryptosystems introduces the basic concepts and ideas of quantum computing and quantum computational complexity. The book discusses quantum algorithms for IFP, DLP and ECDLP, based on Shor's seminal work. It also presents some possible alternative post-quantum cryptosystems to replace the IFP, DLP and ECDLP based cryptosystems. This book is intended for graduate-level students and researchers in computing science, mathematics and digital communications as a second text or reference book. 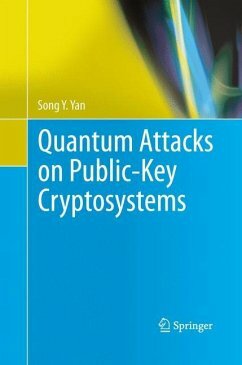 Cryptographers and professionals working in quantum computing, cryptography and network security will find this book a valuable asset. 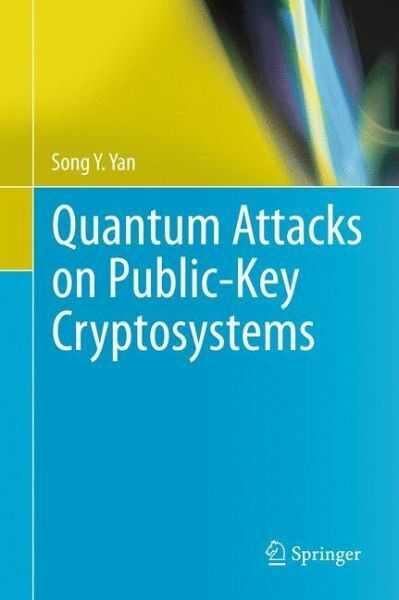 Chapter 1 Quantum Information and Computation Chapter.- 2 Quatum Attacks on Integer Factoring Based Cryptosystems.- Chapter 3 Quantum Attacks on Discrete Logarithm Based Cryptosystems.- Chapter 4 Quantum Attacks on Elliptic Curve Based Cryptosystems.- Chapter 5 Post Quantum Cryptography.